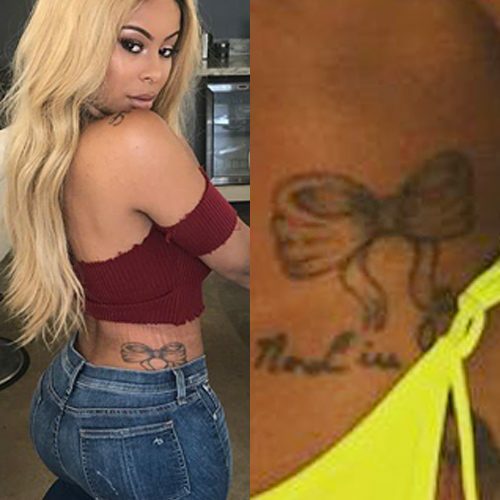 Alexis Skyy has a bow tattoo on her right hip. 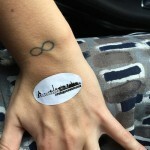 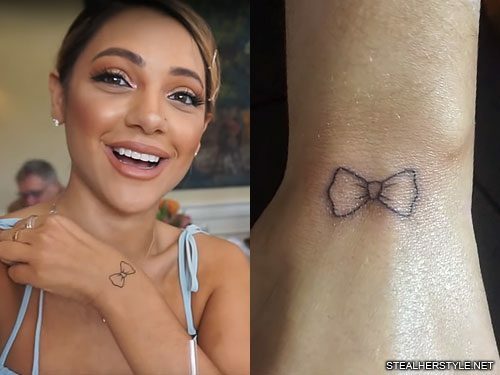 Gabi DeMartino got an outline of a bow tattooed on the back of her wrist in March 2018. 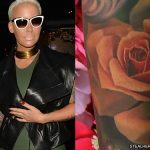 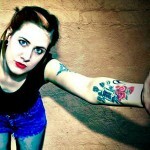 Her first two tattoos were both of writing so she wanted to get ornamental designs for her next few. 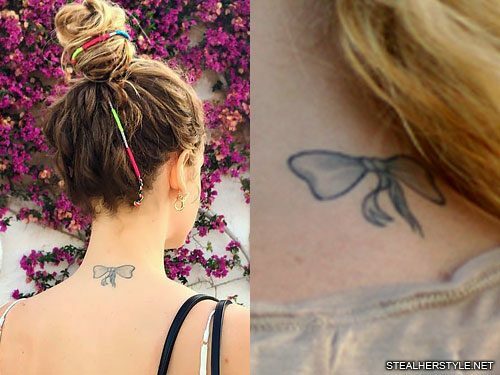 The bow was inspired by a bracelet she has with pearl beads and a bow charm, so the tattoo is like a piece of jewelry that she wears all the time. 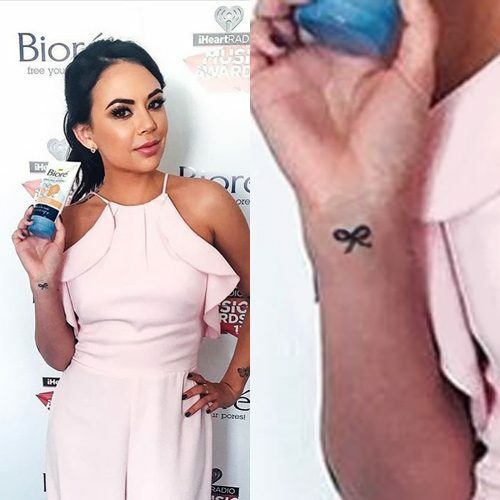 Even though it’s not deep and meaningful she still thought about it for a long time before committing. 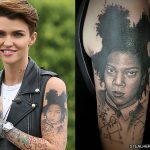 And she loves how cute it looks! 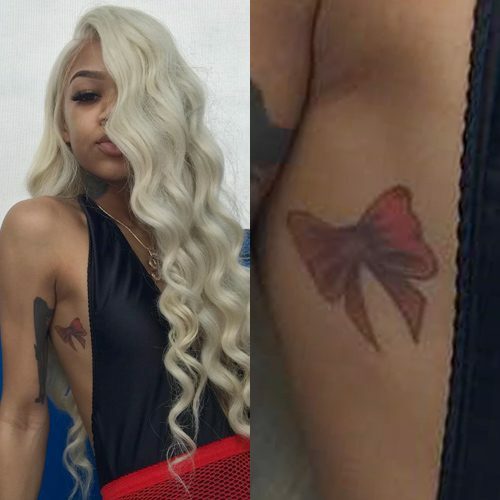 Molly Brazy has a red bow tattoo on her right rib cage. 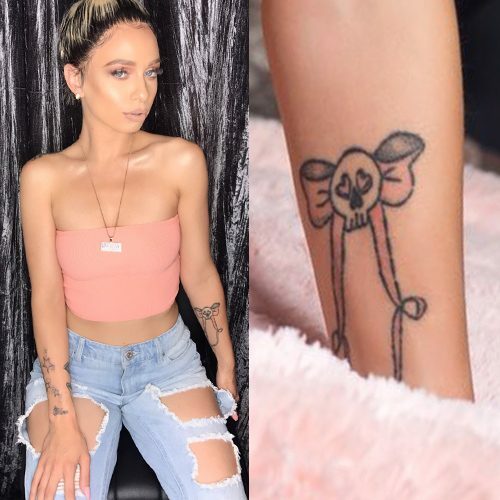 Mariahlynn has a tattoo on her left forearm with a pink bow with skull in the middle. 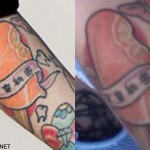 Jeannie Mai has red bows tattoos on her both ankles.